The New York Times (s nyt) is considering creating an electronic tip line so that leakers of classified documents can go direct instead of having to use a middleman like WikiLeaks, according to executive editor Bill Keller. Keller said the plan is still in its formative stages, but the idea is to create a “kind of EZPass lane for leakers,” to make it easier for them to contact the paper and deliver information. And the Times isn’t the only one doing this; Al-Jazeera has already launched its own drop-box for leaks called the Transparency Unit, and recently released thousands of documents related to the conflict between Israel and Palestine. When WikiLeaks first burst into public view last summer with a treasure trove of secret documents about the war in Afghanistan, then followed that up with a classified video of an American military attack in Iraq, one of the first things some media-industry observers wondered was: why didn’t the sources of this material — widely believed to be Bradley Manning, a U.S. intelligence officer now in a military prison in Virginia — just go directly to a newspaper like the New York Times instead of leaking it to some shadowy organization like WikiLeaks? The Times probably wondered that too, which is why it’s not surprising to hear that the paper is working on its own digital tip line. In some ways, it’s surprising that it has taken the Times and other entities like Al-Jazeera this long to come up with this idea. Media outlets have always relied on those with access to secret or confidential information — either about companies or about governments — to deliver material in brown envelopes that are dropped off at the front desk or handed over to people in parking garages, as the famous Watergate documents were in 1972. 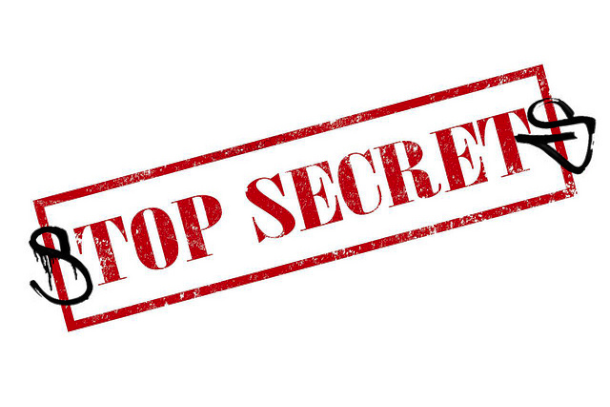 Doug Saunders, the European bureau chief for the Canadian newspaper The Globe and Mail compared WikiLeaks to a brown envelope when it first came to prominence, and said it was nothing more than a middleman, which to a large extent is true. The key difference with WikiLeaks, however, is it’s also a publisher; it can instantly release whatever documents it wishes on its own website or dozens of other sites that it has relationships with, although so far it has only released the same documents that the New York Times and The Guardian and other media outlets have (with names of some individuals redacted to prevent them from being targeted). The main thing WikiLeaks gains by working with the NYT and other traditional media entities is a broader reach — in effect, publicity for the leaks, as Icelandic MP and early WikiLeaks supporter Birgitta Jonsdottir explained in a recent speech in Toronto. So will more leakers go direct to either the New York Times or Al-Jazeera? Possibly. But the one thing sources gain by going through WikiLeaks instead of a specific media outlet is the knowledge that they aren’t relying on one entity’s view of the documents — in other words, that the New York Times doesn’t control what gets released or what gets written about and how, since WikiLeaks typically works with several competing organizations at once. For anyone who remembers how the Times behaved when it was reporting about the issues leading up to the Iraq War, that could be a very powerful incentive to use WikiLeaks rather than going direct. But WikiLeaks is about to get some more competition on that front as well: a new organization called OpenLeaks, set up by former WikiLeaks staffer Daniel Domscheit-Berg, is expected to launch soon with a much more distributed model that was developed in part as a response to criticism about WikiLeaks and the behavior of front-man Julian Assange. For better or worse, the organization appears to have opened a Pandora’s box when it comes to political transparency that may never be closed. Itâ€™s a nice try but there has been nothing to stop individuals from releasing information to newspapers/media organisations for years. The problem for potential leakers has always been â€œhow do I ensure that the information is published quickly?â€ or â€œhow do I ensure that an editorial decision doesnâ€™t mean my leak is buried?â€ or â€œhow can I prevent advertisers from shutting down stories they donâ€™t like?â€ Moreover, corporate legal in large newspapers are notoriously conservative â€“ especially where large scale legal action might bankrupt (money poor) newspapers. On top of all of those considerations there are international issues, if for example the diplomatic cables were only leaked to the NYT or Al-Jazeera how do you prevent only the local stories from being published? All of these questions mean that for â€œbig bangâ€ type leaks there is still a need for an independent leak handling organisation. 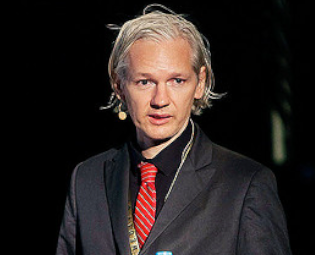 Whilst Assangeâ€™s conduct detracts somewhat from some stories â€“ he continues to raise the organisations profile and his daring do will appeal to some potential leakers. OpenLeaks is an unknown quantity and no-one except tech geeks will know they exist until they snare a big story. Why would anybody release anything to the Times? Their initial cable release was accompanied by a character assassination of Assange; they sat on the NSA wiretapping story for a year (until after the 2006 election); and they regurgitated Judy Miller’s propaganda. Would the Times have published any cables at all if it weren’t for WikiLeaks? Wikileaks is dead! Long live Wikileaks! !